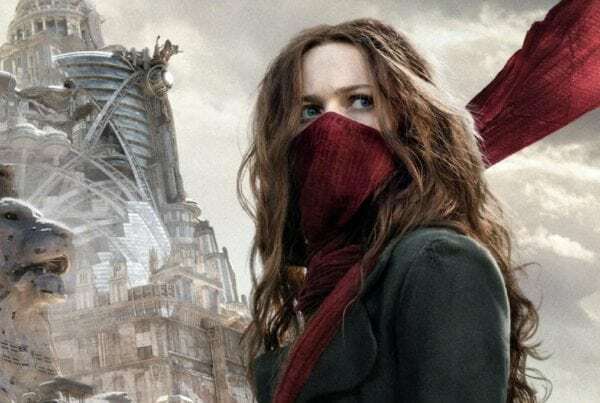 The New York Comic Con crowd in attendance at Universal’s Mortal Engines panel were among the first people on the planet to be treated to the opening 25 minutes of the upcoming Peter Jackson-produced film adaptation of Philip Reeve’s 2001 young adult novel. Although the panel’s official description claimed that only the first eight minutes of the movie would be shown at the event, before Jackson, director Christian Rivers, star Hera Hilmar and more Mortal Engines cast and crew members took the stage at Madison Square Garden, panel moderator Andy Serkis clarified that information. In front of an excited crowd, Serkis began teasing the audience by raising the amount of movie to be shown little by little; from 12 minutes, to 17, to 20 (each number being met with cheers from the fans), until finally setting upon 25 minutes and wasting no further time in rolling the footage. 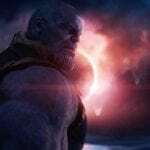 The footage on display didn’t give much away in the way of spoilers, essentially being a less condensed version of the first half of the movie’s first trailer. 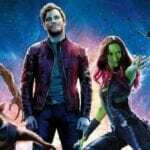 The movie begins with an ominous voiceover giving context on the film’s futuristic universe to the audience; “Sixty minutes is all it took… to bring humanity to the brink of extinction,” the voice states. It then says that those who survived this ‘Sixty-Minute War’ mobilized their settlements to partake in the hunt for food and fuel, leaving the weak to vanish and strong to grow more powerful. Not before long, “a new age arose” of predator cities of the West. After the voiceover ends, we see our first glimpse at this post-post-apocalyptic steampunk universe, as Hilmar’s Hester Shaw stands on a cliff scrutinizing the wastelands surrounding her through a scope; on the horizon, she sees the mobilized predator city of London approaching the small trading post she is currently located on. As towns from the trading post break off and get away from London, the mining town Hester is staying on isn’t as lucky. London’s citizens rush to the railings of their monstrous machine to watch and cheer as the comparatively tiny mining town falls prey to their superpower of a city. In a Mad Max-esque showdown, the mining town is captured due to engine problems. At the forefront of London’s side of the confrontation is Hugo Weaving’s villainous Thaddeus Valentine, the Head of the Guild of Historians and an important figure in London’s hierarchal system. In a humorous scene during the opening action set piece, in one of London’s historical museums, we see relics from the ‘ancient’ time, including a variety of smartphones all in poor condition as part of a “Screen Life” exhibit, as well as, surprisingly enough, monuments to the Minions in an “American Deities” exhibit. Yes, those Minions; the same ones from the Despicable Me series, a property owned by Universal’s Illumination Entertainment. The Sixty-Minute War has left society decimated, and any artifacts that remain from the previous era are invaluable. The following sequences bring down the intensity a tad (until cranking it up again after a few minutes), and work both to define the movie’s version of London and establish many key relationships. As the conquered mining town citizens, begin making their way into London, Robert Sheehan’s Tom Natsworthy, a low-level historian-in-training, interacts with Leila George’s Katherine Valentine, the daughter of Thaddeus. Katherine goes to Tom, asking for “firsthand accounts of the Sixty-Minute War,” to which he reveals that most written records did not survive. The two certainly have a friendly relationship despite their difference in social class. Tom shows Katherine a room that serves as his shrine to the 21st century, and in particular, shows her a quantum energy super weapon called MEDUSA. He reveals his plans to throw the weapons-grade technology he possesses to the bottom of the marshlands to prevent it from falling into the wrong hands. She attempts to stab him again but is stopped by Tom and forced to flee by running into the town from which she came, which is currently in the process of being destroyed. Tom follows her. What ensues in the final minutes of the footage is the second major action set piece, this time a chase through the mining town as it is being cut up, incinerated and turned into scrap. Hester reaches the end of the path and has nowhere to go; she stands on a platform that hovers highly over a chute leading back to the outside world. She jumps off, but Tom grabs her arm before she falls. Hester staring right into Tom’s eyes with her scarred face, tells him, “Look at me. This is what he does when you get in his way. Ask him why he murdered my mother. Ask him about Hester Shaw.” She then gets free of Tom’s grip and falls into the chute. “Yes, you should, ” Valentine replies, before kicking him off the platform and into the chute as well. Tom screams as he falls down the chute, and the footage comes to an end. All in all, there is a lot to like about the 25 minutes shown. While the story and character beats are mostly par for the course when it comes to young adult book adaptations (a strong-willed revenge-seeking outsider, a two-faced villain, a resistance to take down the all-powerful empire, etc.) the action is expertly staged and original, and most importantly, exciting. The visual effects, too, are a marvel for the eyes, which comes as no surprise given the fact that Rivers has spent most of his career as a VFX artist for Jackson on everything from Lord of the Rings to The Hobbit. Obviously, much sharper judgments will be able to be made after seeing more than just the first 25 minutes of the movie and diving deeper into the world’s mythology, but generally, the footage screened at NYCC gets the movie off on the right foot. Moments of levity and slight weirdness (such as the Minions’ cameo) to dispel some of the self-seriousness are much welcomed and hopefully won’t be given the short end of the stick in the rest of the film, as they repeatedly are in young adult adaptations. 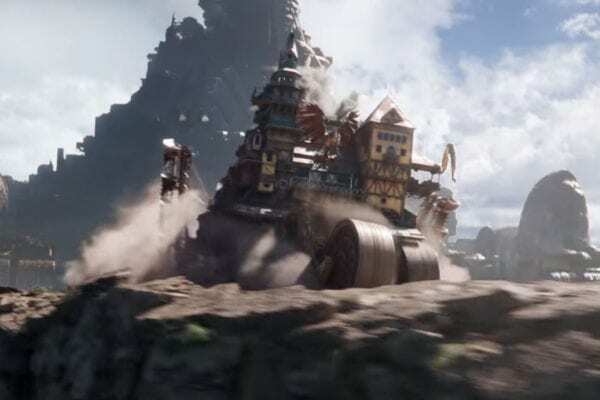 Does Mortal Engines have the potential to be a breakout sleeper hit at the box office this December and jumpstart an entire franchise of films (there are four books in the series)? Possibly — but doing so will have to mean that the film keeps up its vivacious, intuitive energy, that makes it so fun and engaging throughout the two action set pieces shown here, for the entirety of its runtime. 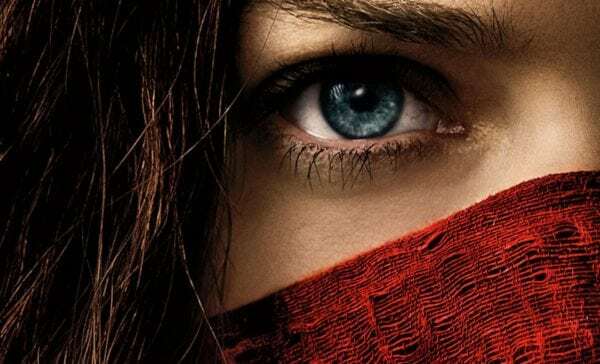 In terms of having a devoted fanbase before a feature film adaptation hit theaters, movies like The Hunger Games and The Maze Runner certainly had a head start, but at the same time, those movies (arguably) didn’t have the star-studded team of creative, hit-making talent that Mortal Engines has, between Jackson, Rivers and screenwriter Philippa Boyens (The Lord of the Rings: The Two Towers). 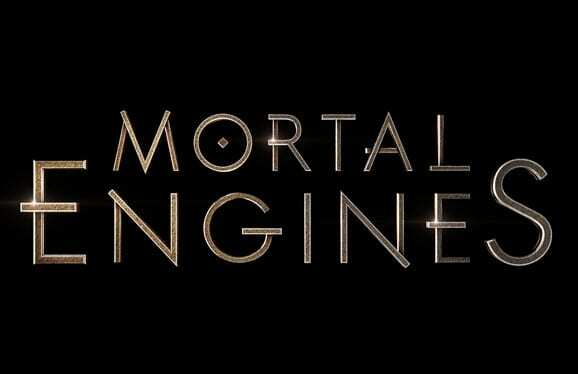 For more Mortal Engines coverage, check back throughout the week, as Flickering Myth will be releasing exclusive NYCC interviews with the cast and crew. 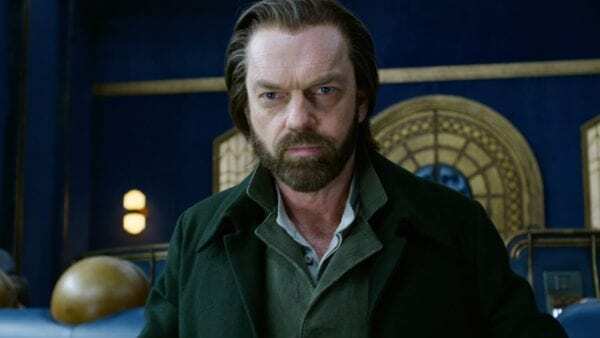 Mortal Engines is set to hit cinemas on December 8th in the UK and December 14th in the US.